Carpet cleaning is one of the least enjoyable activities you can ever deal with in Muswell Hill. If the very thought of spending an hour with the vacuum cleaner at home is giving you shivers, then you need an alternative approach. Why not let The Top Carpet Cleaning take care of the chore for you. Our company is one of the very few that offers perfect support when it comes to carpet cleaning in Muswell Hill. Thanks to us, you can have beautiful carpets fit for the beauty of the area. 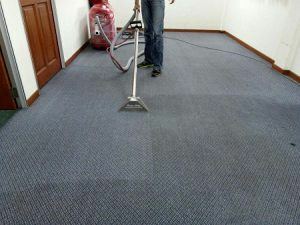 The Top Carpet Cleaning is your best bet regardless of the number of size of carpets you have at home. We are proficient in cleaning any kind of carpet, whether new or old. Since we use proven methods and solutions that are completely harmless, you can be sure that your carpet will make it through without any damage or other issue. The best part of our service is that it tackles the dirt and dust within the fibres. These spoils are normally unaffected by vacuuming, so that is definitely a reason to consider our service. But don’t just take our word for granted: book now on 020 3322 8944 and see for yourself. How to take advantage of our carpet cleaning in Muswell Hill? We greatly value the time of our clients. For this reason, it is super easy to acquire our carpet cleaning service. Literally, all it takes is to get in touch with us and share the details of your enquiry. You can do so on 020 3322 8944. Our friendly staff will greet you and guide you through the hiring process. Make that call today and you will soon enough be viewing a brand new carpet at home; one that we have cleaned to perfection. Carpet cleaning in Muswell Hill with our company is super easy! Muswell Hill is one of the north London suburbs, dividing between 2 boroughs: Barnet and Haringey. Situated next to East Finchley, Highgate, Hampstead and Crouch End, this area is currently regarded as one of the most expensive in London. The area is predominantly occupied by Edwardian architecture, with a bit of Victorian and 1920-1930 garden homes. Alexandra Park makes the most notable landmark of the area, with its 196 acres of parkland. The park is equipped with a boating lake, pitch and putt course, a rose garden and some sweet locations revealing fantastic views to the capital. The park is also the location of Alexandra Palace, which is a famous entertainment venue. It has been home to significant events and continues to play host to annual events like the fireworks in honour of London’s Bonfire Night celebrations. Several bus routes serve the area, as it being at the top of a hill lacks a tube station. The Top Carpet Cleaning offers professional carpet cleaning in Muswell Hill. Give us a call to enquire about our expert cleaning on 020 3322 8944.